Built in 1975, by Delmar Systems Incorporated of LaRose, Louisiana (hull #3) as the Endeavor for Delmar Systems Incorporated of LaRose, Louisiana. 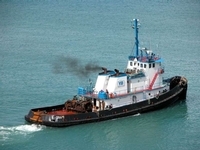 In 1989, the tug was acquired by the Brix Maritime Company of Seattle, Washington. Where she was renamed as the Fairwind. In 2003, she was acquired by the Young Brothers Company of Honolulu, Hawaii. Where she was renamed as the Malulani. In 2015, she was phased out of service. And, was "laid up" at the Foss Maritime yard in the Lake Washington Canal in Seattle, Washington. 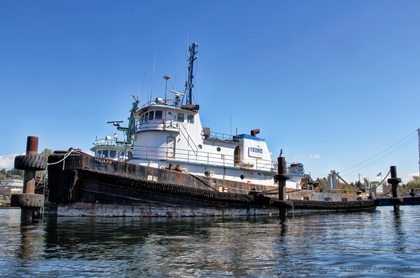 In 2018, the tug was acquired by the Pacific Tug Company of Coos Bay, Oregon. Where she retained her name. Powered by two, Caterpillar 3606 diesel engine. She is a twin screw tug, rated at 3,000 horsepower.